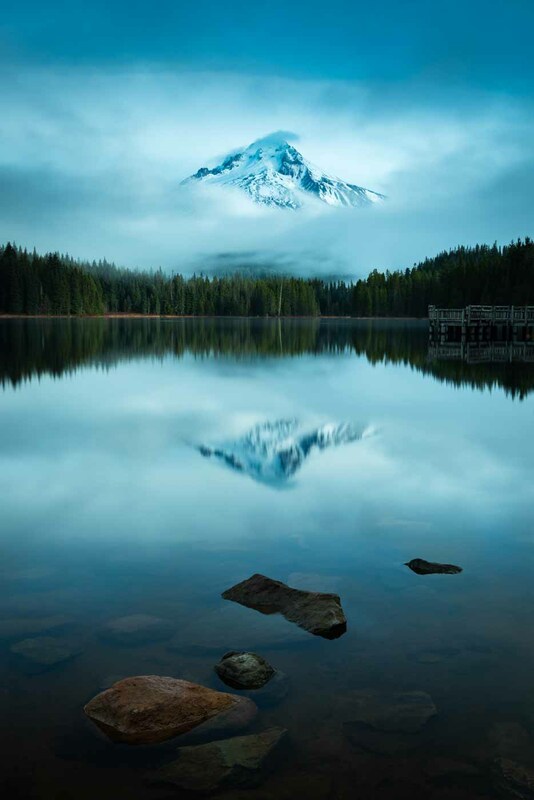 A serene morning at Trillium Lake with Mount Hood reflecting in the calm water. Three days prior to taking this photograph the high peaks had received the first substantial snowfall of the season. Nikon D800, F8, 24-70mm Lens, ISO 100, 8 sec exposure.